"Stephen Bellamy is a bright young man with a ruthless political ambition. At twenty-five, he is already press secretary to a candidate for the Democratic Party's presidential nomination. He is self-confident, charismatic and strategically brilliant; a player on a meteoric rise to the top. But when Stephen receives an unexpected phone call at a crucial period in the campaign, a decision made in the heat of the moment unleashes a chain of events even he can't control. 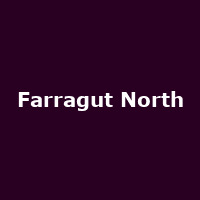 Farragut North is an extraordinary journey into the underworld of politics from Beau Willimon, head writer of the hit US version of House of Cards. Farragut North was adapted into The Ides of March, featuring an Oscar-nominated screenplay written by Beau Willimon and George Clooney and directed by George Clooney. This year, it comes to Southwark Playhouse for its UK Premiere, directed by Guy Unsworth and produced by Peter Huntley Productions (Someone Who'll Watch Over Me, Floyd Collins, The Belle's Stratagem)."